Guelph striker Jace Kotsopoulos was honoured with the Joe Johnson Memorial Trophy as U SPORTS men’s soccer Player of the Year Wednesday night, as the national award winners were celebrated at the annual All-Canadian gala. 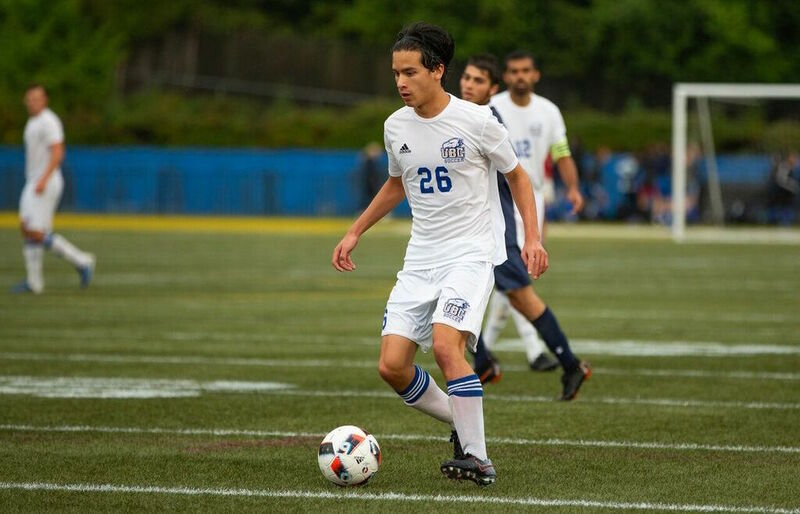 UBC midfielder Thomas Gardner captured the Lou Bilek award as Rookie of the Year, while UNBC forward Francesco Bartolillo earned the Student-Athlete Community Service Award for his outstanding contribution both on and off the playing field. 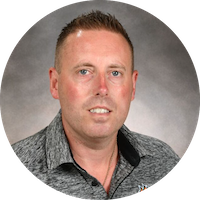 Cape Breton bench boss Deano Morley received the Coach of the Year award for the second consecutive season. He was one of the most dangerous players in all of U SPORTS. 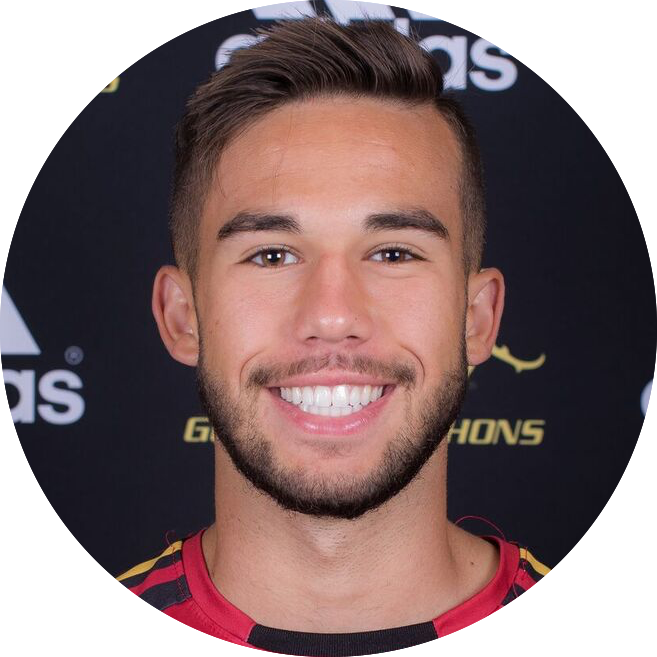 Whenever Jace Kotsopoulos got a touch on the ball, the fourth-year Guelph Gryphons striker induced panic in defenders and goalkeepers all around U SPORTS. 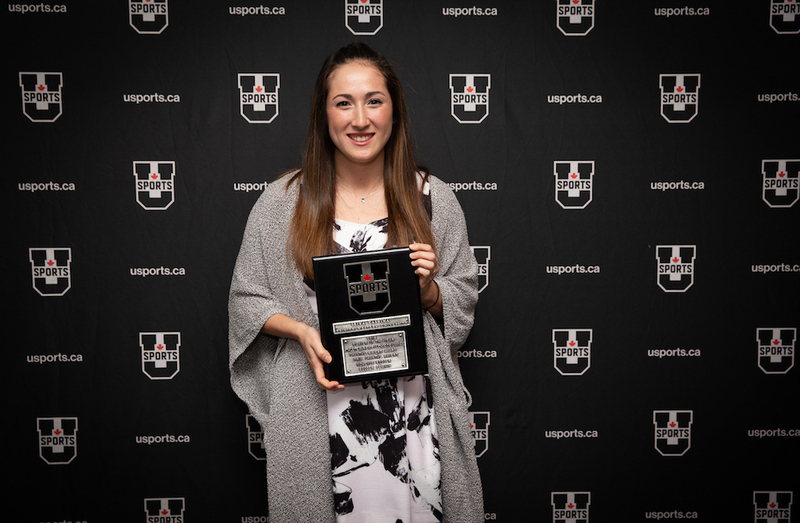 Kotsopoulos had a 2018 season to remember, finishing second in the nation in goals with 15, while also eclipsing the University of Guelph's all-time goals record. Kotsopoulos becomes just the second Gryphon in program history to win national Player of the Year honours, joining Robbie Murphy who did so in 2011. The Guelph star’s 15 goals paced the OUA this season, with many coming at crucial moments to either tie or win a match. The majority of those 15 came in a memorable September when Kotsopoulos was named U SPORTS Male Athlete of the Month. 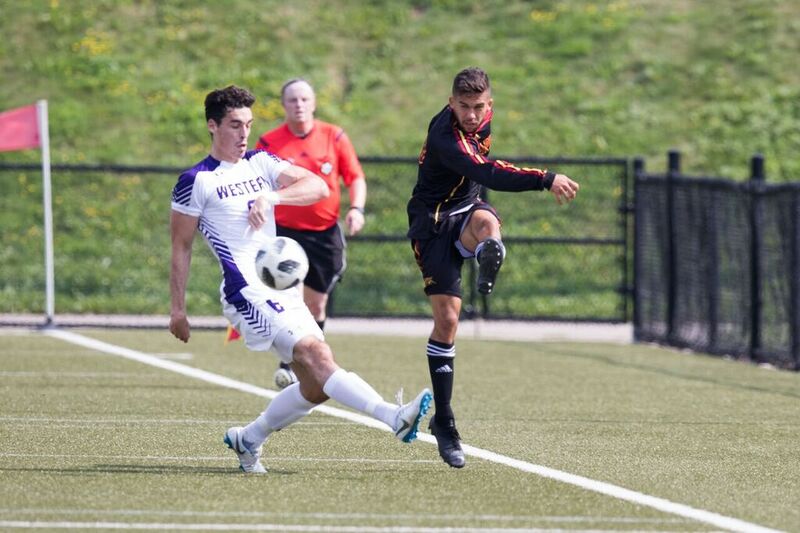 He scored in six of his eight matches that month and also became the University of Guelph men's all-time leading scorer when he bagged both goals in a 2-0 win over McMaster on Sept. 9. Kotsopoulos had 48 goals to that point, needing one to tie Murphy, Guelph's all-time leader,  at 49. He got it in the 75th minute, heading a ball home from inside the area. But Kotsopoulos wasn't done. 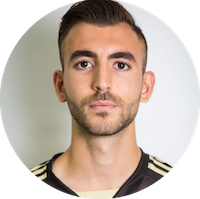 Kotsopoulos established the new school record six minutes later when he took a through ball from teammate Jon Amoo, held off a defender on his shoulder, and coolly finished with his left foot into the bottom corner of the McMaster net. He went on to score six more goals the rest of the season and currently sits in the top spot with 56. "Jace had an amazing season, breaking the all-time Gryphon goal scoring record, leading the OUA in scoring and coming second in Canada," said Gryphons head coach Keith Mason. "But above all this, Jace is a tremendous individual, humble, talented, hardworking, and a leader. It is a pleasure to coach such a player with these qualities day in day out. He is fully deserving of this special award, but I am sure Jace would be the first to admit he could not have done it without the fantastic support, on and off the field, from his teammates." The first-year arts student scored six times in just 12 regular season games for the Thunderbirds, and his eight points had him third in team scoring. Three of his six goals stood up as game-winners. Gardner became the first player in conference history to win both the Canada West Player and Rookie of the Year recognition in the same season. 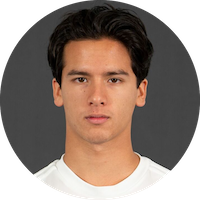 The product of the Vancouver Whitecaps FC2 program was a machine on set pieces, scoring five of his six goals off free kicks, including a streak of four consecutive home games with a free kick tally. Gardner joins Chris Serban (2014) and Adam Plummer (1999) as U SPORTS Rookie of the Year winners from UBC. 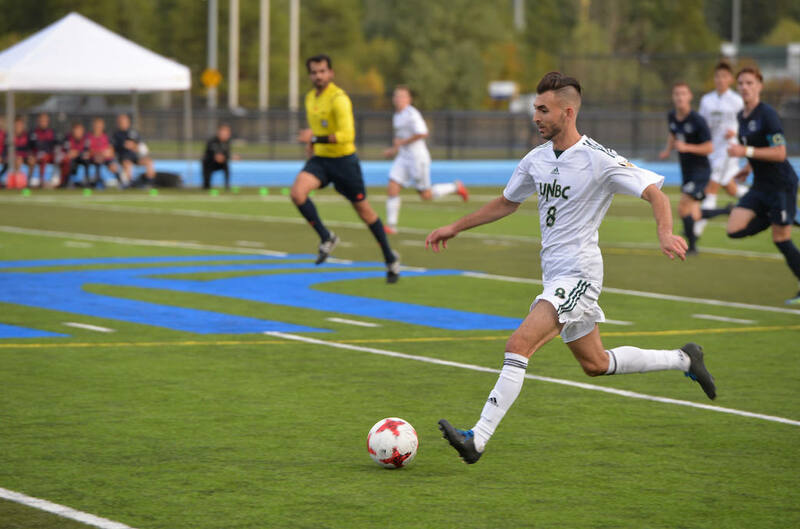 The all-time leading goal scorer in UNBC men’s soccer history, Francesco Bartolillo paced the Timberwolves this season in goals (6), assists (4), and points (10). But his achievements off the pitch are even more impressive. A four-time Academic All-Canadian, Bartolillo will forever leave his fingerprints on the Prince George, B.C., community. Along with coaching youth soccer, and founding a soccer tennis tournament to benefit KidSport BC, Bartolillo created the Timberwolves Student Athlete Society. In 2017, he created the MVP of the Month initiative, which identifies a youth in the community who is battling cancer. Fundraising events and awareness campaigns are focused around the selected child, with funds raised donated to the child, and to cancer research. Over the past two years, using the funds from events like the Fill the Bus Bottle Drive, and the TSAS Flag Football Tournament, more than $10,000 has been raised and donated. 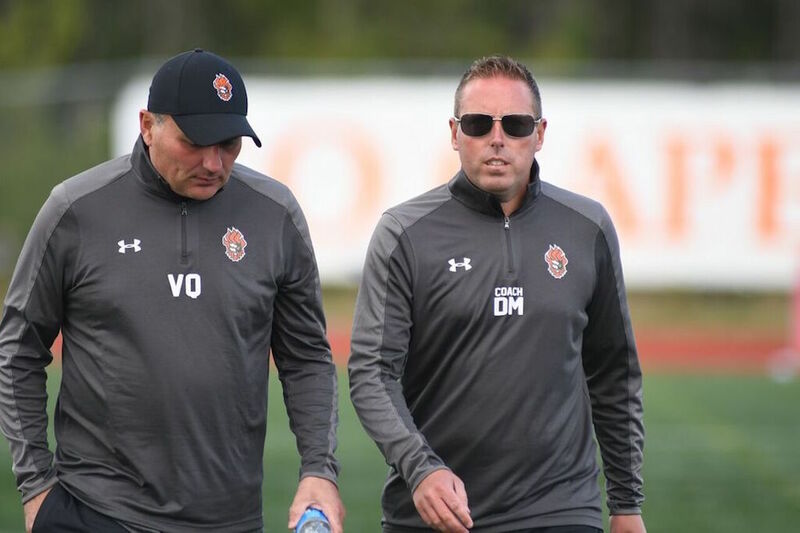 Deano Morley has been selected by his peers as the 2018 U SPORTS men's soccer Coach of the Year for the second consecutive season. Earning this award in his fifth season at the helm of the Capers program, Morley led his squad to an undefeated 10-0-2 regular season record, a first-place finish in the AUS standings and a first-round playoff bye through en route to a third consecutive AUS title. Morley's reigning U SPORTS champion Cape Breton squad allowed just five goals against all season for a goals-against average of 0.42 per game—the best in U SPORTS. The Capers scored 36 goals in 12 games this season and had eight shutouts. Morley has led the Capers to the AUS postseason in each of his five seasons as head coach. Prior to being appointed head coach, he served as an assistant coach from 2007 to 2013. A native of Nottingham, England, he was a student-athlete with the Capers program from 2004 to 2006 before joining the coaching staff. S Tristan Nkoghe UNB Sherbrooke, Que. M Pierre Lamothe Montreal Greenfield Park, Que. Physical & Health Ed.